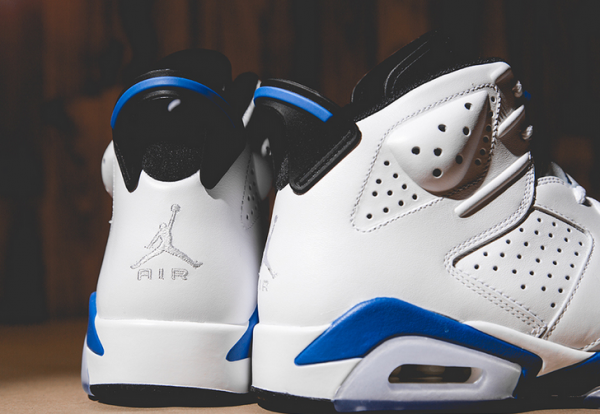 The next silhouette to get hit with the Jordan Brand year theme “Sport Blue” colorway is the iconic Air Jordan 6, making a return this weekend with a new twist. 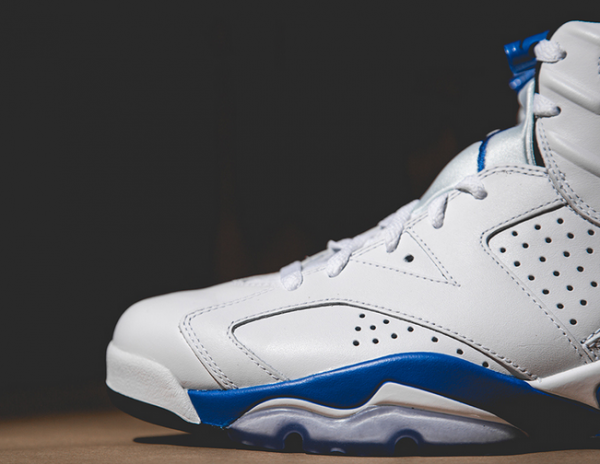 Very reminiscent to the classic “Infrared” 6, the “Sport Blue” 6’s feature a predominately white upper with royal blue accents on the midsoles, heels, and the signature AJ6 lace locks. 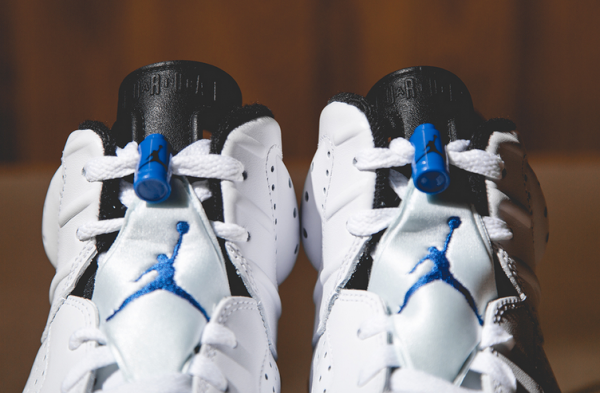 The kicks are finished off with icey blue outsoles. 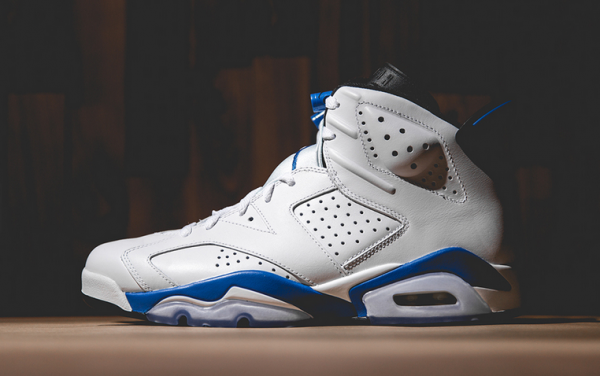 The “Sport Blue” Air Jordan 6’s will be available August 30 at all JB retailers worldwide and the Nike online store. Check out detailed images below.